Bradley, you always look so cool! 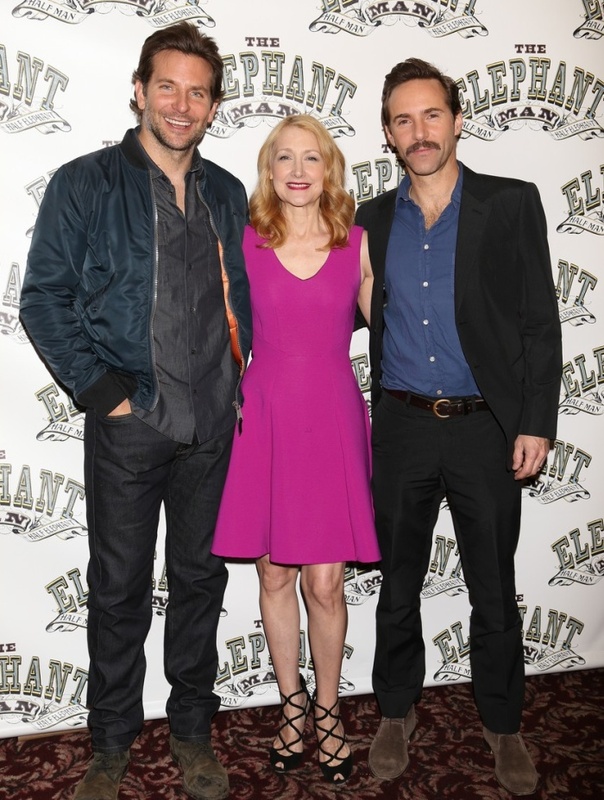 Bradley Cooper was snapped with his co-star, Patricia Clarkson, at The Elephant Man Broadway cast photo call, at Sardi’s in New York City. They were joined by their cast mate Alessandro Nivola, as well as other members of the production team. Bradley wore wore a pair of J Brand’s KANE Denim in Resonate, which is one of J Brand’s most sought after staples. The Kane is a straight fit. The dark, rich Resonate wash with subtle whiskering gives this edition of the J Brand’s an uncomplicated appeal and is a super versatile style. Uncomplicated, because this style is for the guys exactly what the skinny jean is for us ladies. It is a jean that you can wear for any kind of occasion, easy to pair and you always look good in them. You can purchase the J Brand Kane in Resonate here.